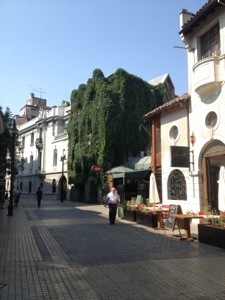 On my first Monday in Santiago, I decided to wander into town to find a real coffee. This requires a lot more work than you might think. They may grow some of the world’s best coffee in South America, but it is still a rarity to find a well made cup. 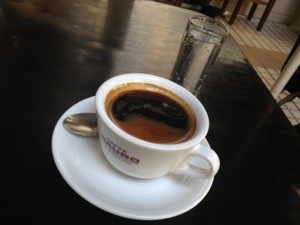 There are still many cafés here that bring a jar of nescafé to the table and hot water, and still many locals that prefer it that way, so I think it will take at least a generation to change it. Thankfully, I’d done my research and found a great website, Revolver, that recommended a cafe in town with a real barista and a good coffee, and they weren’t wrong. After my caffeine fix, I found myself walking around town and I realised there was a free city walking tour about to start, so I decided to join it. Our guide was enthusiastic and animated and, in addition to showing us the main historical sites, provided us with an interesting insight into life in Santiago, his thoughts on the military dictatorship under Pinochet, the treatment of the Mapuche (indigenous), and the current political situation. The tour also stopped at a couple of venues to allow us to buy some local fare, such as mote con huesillo which is a really sweet, peach-flavoured drink made with mote, a barley-like grain. 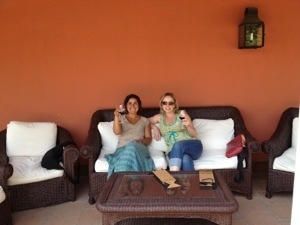 We also had a rest stop to relax over none other than the famous pisco sour, before walking through Parque Forestal and ending the tour in Bella Vista. I met a couple of nice French girls on the tour, who came to my attention when one of them spoke English with a slight Aussie twang. Turns out that Elodie had spent a year travelling in Australia and picked up some of our expressions and intonations. Elodie’s parents were coming into town the following day and they were taking off to spend some time together, which left her travelling companion, Dorothee, on her own for two weeks. We decided we would do something together, and the first thing on the radar was to go and eat duck at a French restaurant she had heard about. She has been away from home for almost five months and was having withdrawal symptoms, and I hadn’t had duck since arriving in south America and was easily convinced. 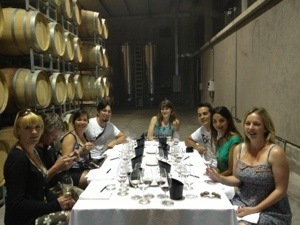 After our duck dinner, we decided to explore one of the local wineries together. 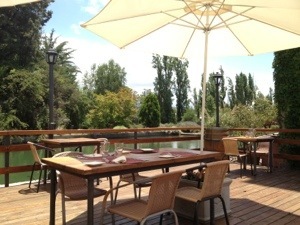 There are many wineries close to Santiago, but some are difficult to get to without a car. Thankfully, there are a handful that can be reached with a combination of public transport and taxis, so we met at Estacion Central to make our way to Santa Rita. After a train trip to Buin, a bus ride to the gate of the winery, and a 20 minute walk from the front gate, we arrived hungry and ready to eat lunch before we took the tour. The food was nice, but not remarkable, unlike the beautiful verandah setting outside the restaurant where we sat to finish our glass of wine, overlooking the garden. 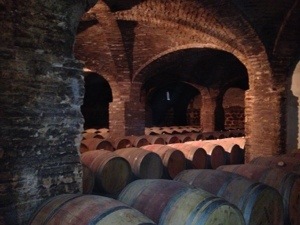 The tour was interesting, and we saw the cellars where the previous owner, Doña Paula, had once harboured 120 Chilean soldiers during the civil war, including the now famous General Bernardo O’Higgins, who went on to be one of the great heroes of the war. 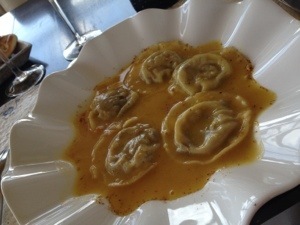 Our next catch up was a few days later at a wine restaurant I had heard about, Bocanariz (mouth nose). This is one of the few restaurants in town with a large selection of wine by the glass (38 apparently) and, in addition, has about ten different wine flights, presenting three different “tastes” of wine for roughly the equivalent cost of a glass. 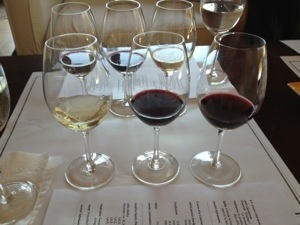 I love this concept as it allows you to taste a wider variety of wines. Each wine comes with a little paper disc containing the details of the wine and, if you really love one, you can order it by the glass, buy a bottle from their cellar to take home, or simply take the disc home so that you remember the wine in future. The menu consists of a range of small plates that can either be shared, or eaten in a traditional entrée/main formation, and all of the staff are trained sommeliers and will happily help you pair the wine and the food. This place quickly became my favourite restaurant, and I have been back a few times since, each time taking someone new with me to experience it. 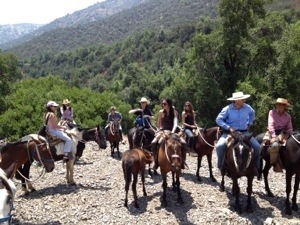 The following Sunday, I had a horse ride in the Andes that I had booked before I even left Buenos Aires, through the same expat group that I had joined there. We met our guide, Jeimy, at a car park at the end of the metro line in Los Dominicos, and were transported to the ranch in a mini-bus, about another half an hour away. We quickly introduced ourselves and the bus trip was a great opportunity to get to know each other, a group of people from different parts of the world – Chile, Portugal, Peru, Columbia, USA, and, of course, Australia. 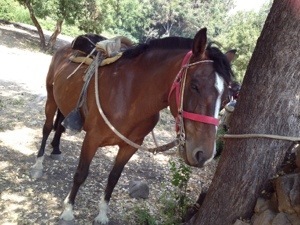 Our horses were quickly made ready for us, and I was given the beautiful Gitana, or Gypsy. The saddlery was pure gaucho, with saddles as big as sofas and huge closed-toe stirrups. We had a beautiful ride, winding uphill and through bush for a while, before descending for a little river crossing and then climbing some more. At first, the bush was not too different to some of the Australian countryside but, as we went further on, the cacti became more numerous and the mountains more distinctly Andean. 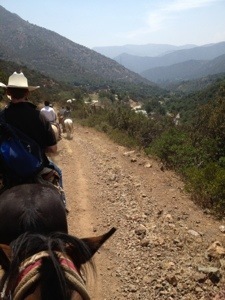 In the heat of the day, it was a great way to see the land without having to hike it ourselves. 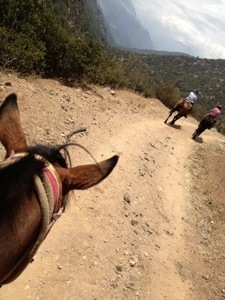 The horses are so well-trained and accustomed to the terrain. 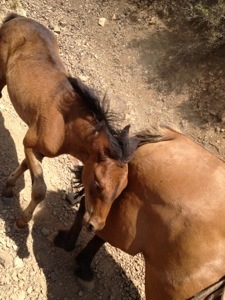 We even had a foal accompany his mum on the ride. We had a mixed group of riders so we mostly walked but, towards the end of the ride, a couple of us managed to get a couple of little runs in on the way home, a weird feeling in the big saddle! 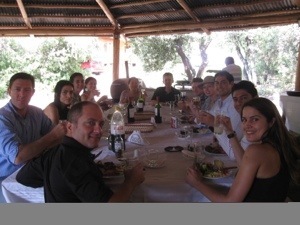 Our reward at the end of the three-hour ride – a traditional Chilean asado (BBQ), with refreshing drinks on arrival, and beer and wine with lunch. 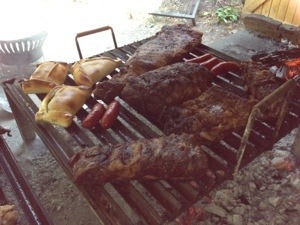 We started with choripan (chorizo in bread) and empanadas baked in a little oven attached to the charcoal grill. 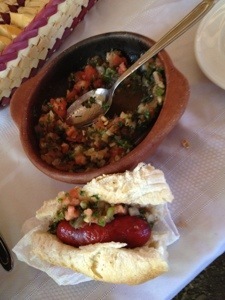 There was a popular Chilean salsa called pebre, and a spice mix called merquén. 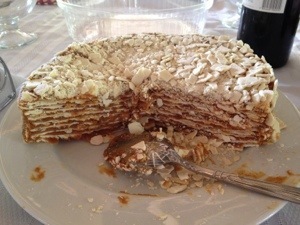 We then had delicious steak and ribs and fresh salads, followed by fresh fruit for dessert and a kind of millefuelle cake made with the Chilean equivalent of dulce de leche, manjar. It was overall a fabulous day out, but the best part was definitely the people. We all seemed to gel together very well and, by the time the bus dropped as back at the train station, we were making plans to get the group together again soon. I was up early on Day 4 to get to the bus terminal and take a bus to Tunuyan, my starting point for my Valle de Uco adventure, the most southern of the Mendoza wine regions. There are tours that run there, but they don’t quite reach where I wanted to go, and a customised tour or personal driver for the day from Mendoza was going to be expensive for just one person. The 9am express bus arrived in Tunuyan at 10.15, and there was a tourist office right there at the bus terminal. Jorgelina at Viamonte had helped me find a number for a remis, or local taxi, in Tunuyan and, with my mobile and the help of the girl in the tourist office (I had her call so that it was a local asking the price and not a gringa! ), we were able to get a driver who estimated my round trip to be about AR$300, a third of what I’d been quoted to leave from Mendoza. 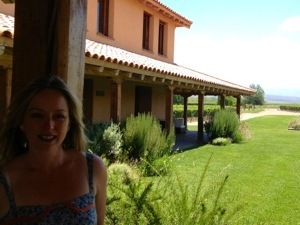 My first stop was DiamAndes, one of the Clos de los Siete wineries that I had heard a lot about. 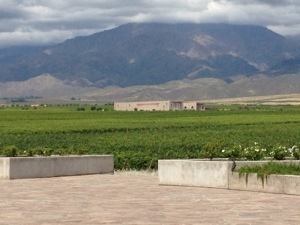 It is a project of French winemaker and consultant, Michel Rolland, another important figure in the history of Mendoza’s winemaking. 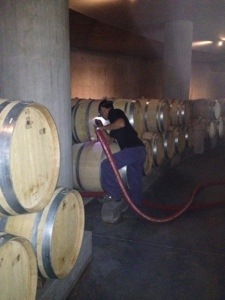 He chose the land for its particular terroir and encouraged a group of French winemakers to take part. 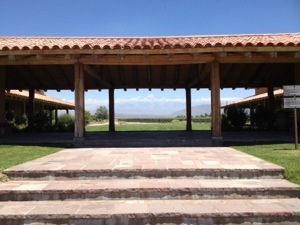 Not all of the wineries are established and open to visitors, but of the ones that are, I had been recommended to visit DiamAndes, a play on the words Diamond and the Andes. 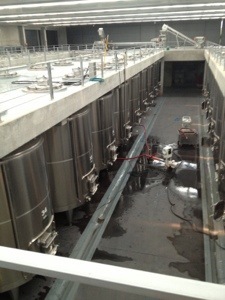 The winery has been constructed with every wine making detail in mind. 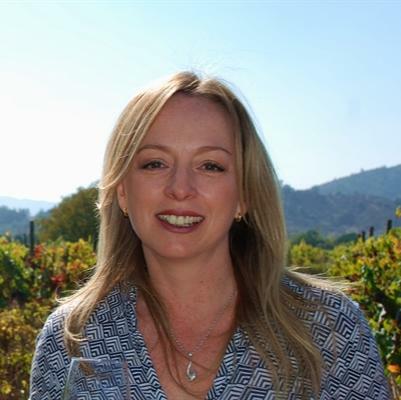 Years of collaborative experience in making wines has created a place that optimises wine making efficiency whilst retaining the integrity of the process, and presenting it all in a visually amazing winery. Making the most of gravity, trucks deliver grapes by way of a large sweeping ramp to the top level, the de-stemming process takes place, and grapes are dropped into their stainless steel vats on the next level down. 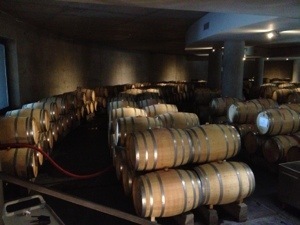 The barrel room is again a level lower to allow easy filling for the oak maturation process. 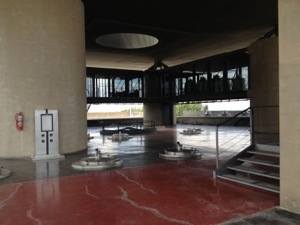 The rest of the facilities are just as modern and impressive and I had to remind myself that I was actually there to taste the wine. 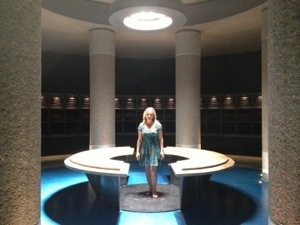 I had the luxury of a personal tour once again, but I was told the afternoon tours were full. 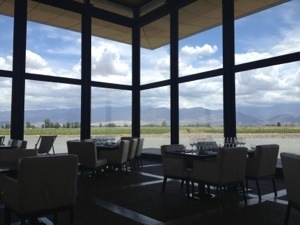 We moved into a beautiful tasting room with a picture perfect view of the vines and the Andes, and I was first served a 100% Viognier with flowers on the nose and a minerality in the mouth. The next wine was a 2010 DiamAndina Malbec (marketed as “Perlita” outside Argentina), 100% grapes from the Valley de Uco and with only 50% barrel fermentation. This was strawberry jam on the nose and lovely in the mouth with an ability to keep for another 8 years in the bottle. The third and final wine was the 2008 DiamAndes Gran Reserva blend of 75% Malbec and 25% Cabernet, aged in oak for 2 years and another year in bottle before release. Beautiful! It’s been voted No. 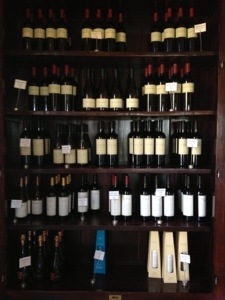 14 in the Top 100 of Argentinian wines for 2012 by wine magazine El Conocedor. 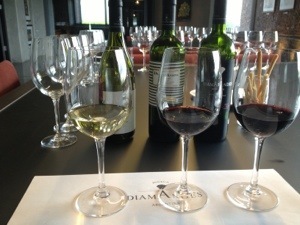 With the tasting over, I was really considering buying one of these wines, probably the less expensive DiamAndina, when my guide told me that the AR$80 price of the tour was currently refundable on the purchase of a bottle of the DiamAndes Gran Reserva, usually AR$165. An offer I couldn’t refuse and snapped up immediately. Now, this wine has cellaring potential of 25 years, but somehow I doubt it is ever going to make it back to my Australian wine rack. Luckily, it’s still great drinking right now and I’ll just have to find an occasion to crack it open. Aah! My driver was waiting patiently for me outside, ready to take me to my next stop, O. Fournier, where I was booked for a tour and lunch. Since I was now back closer to a bus terminal, and I was going to be a couple of hours over lunch, I decided to let my driver go here rather than wait in the heat. 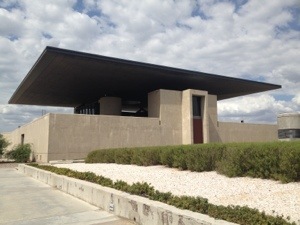 The winery is another amazing feat of architecture, often compared to a spaceship that’s landed among the vines. I can’t comment since I’ve never seen one, but obviously lots of people have because so many say it. I was running a little behind schedule, so decided to have lunch first, tour later. 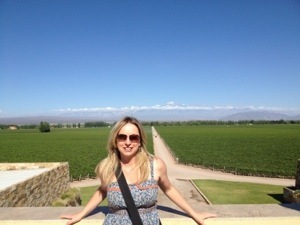 I was seated in the restaurant with, once again, an incredible view of the vines and the Andes. Believe me, it doesn’t get boring. 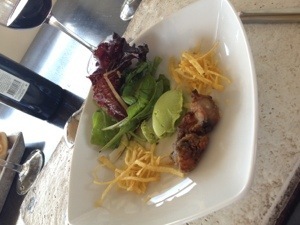 Lunch was a six-course menu with four glasses of wine (that doesn’t get boring either, just fattening! ), and the ability to select which level of wine you wanted to drink, starting at a very reasonable AR$210 and working up from there. 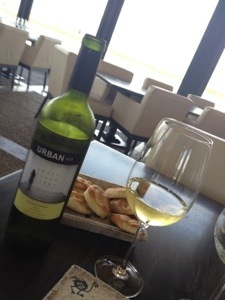 The meal started with a bread basket of homemade bread resembling mini ciabattas, and my first wine was served, a crisp 2012 Urban Uco Chardonnay, full of honeysuckle and slightly buttery on the nose. 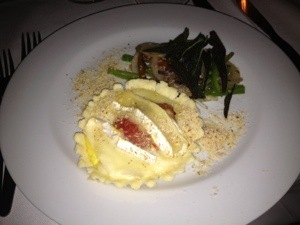 The first of two appetisers followed, a yummy zucchini ravioli filled with pumpkin. 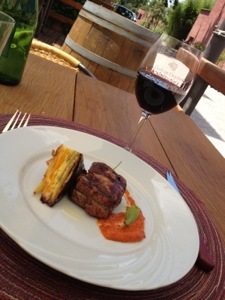 Next wine was the 2011 Urban Uco Malbec, bringing flavours of dark chocolate and cherry with a slight anise finish, accompanying the next appetiser of sweet potato with aioli and eggplant “ashes”. Not as nice as the first zucchini dish, but still good. For the next wine, we moved on from the entry level Urban Uco range to a 2008 Beta Crux red blend, predominantly Tempranillo with 60%, 30% Malbec and 10% Merlot. I’m fond of tempranillo, and found this really enjoyable with light notes of peppers and berries. 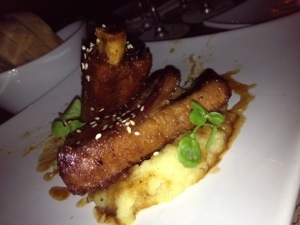 It was going to have to be good to accompany the entrée of sweet breads, and it did its job! There was a choice of mains, one being steak of course and, being a little steaked-out, I chose the oxtail sorrentinos (like large ravioli) with orange butter. Yum! The wine was a step up again to the Alpha Crux range with a 2005 red blend, again predominantly Temoranillo at 60%, 30% Malbec, and this time 10% Cabernet. This was a high alcohol, big wine, with 20 months on oak, and was full of chocolate and spice and a hint of smoke. 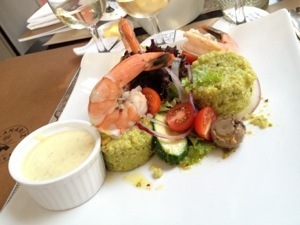 I liked it a lot, particularly with the rich food. 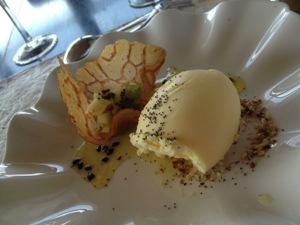 Next up was a small “pre-postre” of lemon sorbet, followed by the main dessert of fruit salad with a honey and rum “tulip” and a most delicious passionfruit icecream. 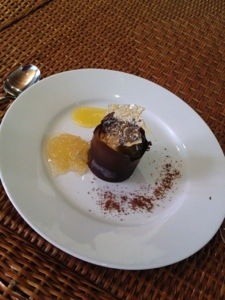 This dessert was “wow”, and a fresh and clean end to a big and beautiful meal. 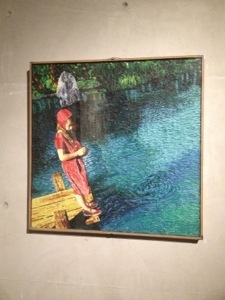 After lunch, the restaurant called for a taxi and I was given a tour around the winery, admiring the unique design features and the art collection which gets rotated, except for one beautiful piece that is on permanent exhibition, a girl standing by a lake, seemingly painted but, on closer observation, is made of plasticine! By the time I’d finished, my new driver was patiently waiting and took me back to the bus terminal in nearby San Carlos. As we pulled up, a bus was leaving and, in my excitement, I ran to catch it. It was a “comun” bus rather than an express but still, I thought, how much longer can it take? I was prepared to kick back and relax for the trip home. Well, unfortunately, it can take A LOT longer, and it took about three and a half hours to get back to Mendoza, as opposed to the hour and 15 minutes it had taken to arrive. 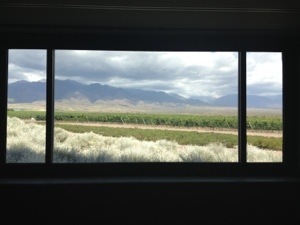 By the time I arrived in Mendoza, I was frustrated and sick of being in the bus, and couldn’t wait to get back to my hotel. Still, you live and learn, and I’d had a great day out, making my own way around the lovely Uco Valley. It was nice to know that I had a late checkout the next day, time to sleep in, have a swim and breakfast, before getting my 2pm bus through the Andes to Santiago. 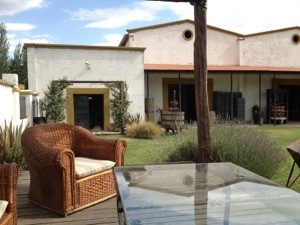 On my third day in Mendoza, I had the luxury of being in someone else’s hands for the day and all I had to do was be ready for my hotel pick up at 8.45. 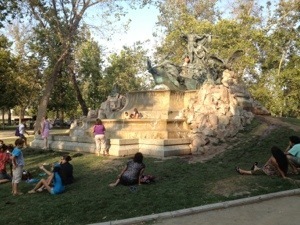 My guide, Gilda, was there right on time with the waiting bus. As predicted, they had managed to fill the tour they’d released just two days before, and there were another four Aussies on board and a German couple who now live and teach in Lima. 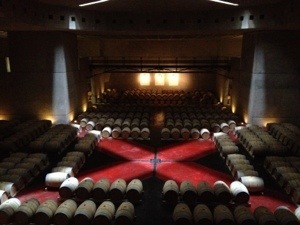 Thankfully, because 9.30 in the morning is a little early for wine tasting, even for me, we started with a tour of the impressive facilities. 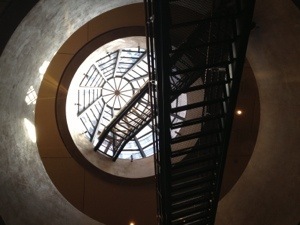 The architecture inside is just as amazing, from the staircases, to the barrel room and the bottle ageing cellars. We made our way to the rooftop where we could admire the beautiful view, and were then led back to the tasting area (because 10.15 is SO much better for tasting!) 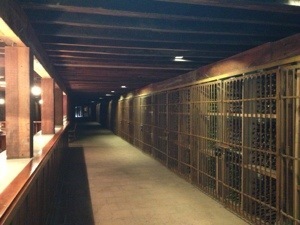 where we tasted three different wines. We started with the 2008 D V Catena Chardonnay, which was a little on the oaky side for my taste, followed by the 2008 Catena Alta Cabernet Sauvignon and finishing with a 2008 Angelica Zapata Malbec, both of which were nice. 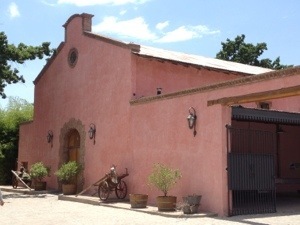 Catena Zapata is a large producer, with many different labels representing different levels of wine, and many are only available on the export market. My enterprising fellow Australians used the extra time available after our tasting to upgrade and taste some of the next level wines, such as the DV Catena Malbec, which they said was well worth it. 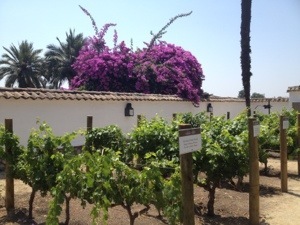 Our next stop was just down the road at Viña Cobos, a winery owned by Paul Hobbs, a famous wine maker and consultant who played an integral role in taking Argentinian wines from quantity to quality. 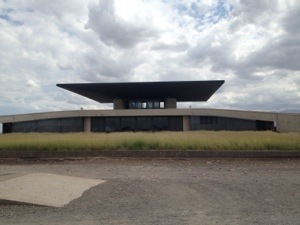 In contrast to Catena Zapata, the winery is understated architecture, but the large concrete block building is still striking in this landscape. 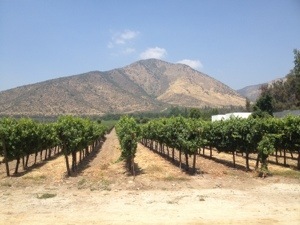 Other than a few plots of vines around the area, some of which belong to the family of Paul Hobbs’ argentinian business partners, the majority of grapes are purchased from other growers both here and in the higher altitude of the Uco Valley. We had a short tour of the facilities before being led into the cool barrel room for our tasting, this time accompanied by some local cheese and nuts. We tried a 2012 Felino Chardonnay, with just 10% of grapes aged in oak, resulting in a fresh wine, rounded out with the light oak, that I really enjoyed. 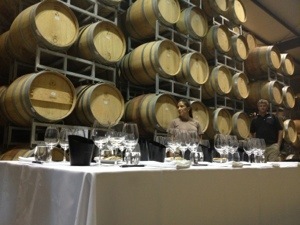 Next up, we tried three different Malbecs, each using grapes from different vineyards and with different oak treatment. 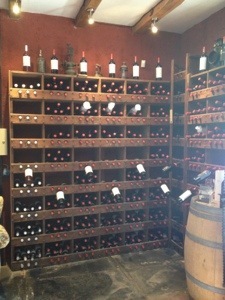 Of course, my favourite was the more expensive 2010 Bramare Malbec from Rebon Vineyard at $AR295, but at A$60, it would be a nice one to lie down for a special occasion if I was going to be anywhere near my wine rack anytime soon. 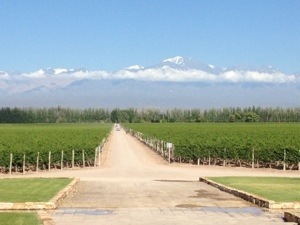 The 2010 Bramare Malbec from the local Lujan de Cuyo was big in the mouth and also delicious. 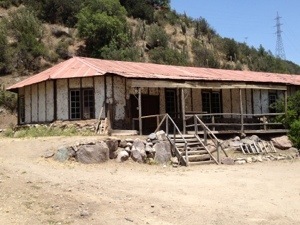 Next up was our lunch stop at Finca Decero, which was a large ranch style building in a beautiful setting that instantly made me want to live there. 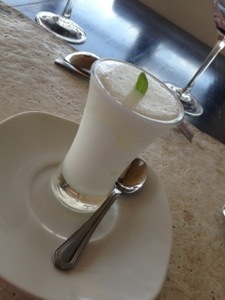 We enjoyed our wines with a delicious three course meal, starting with a fresh and light gazpacho with goats cheese. Yum! 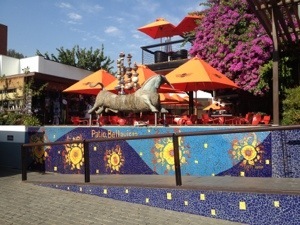 We then enjoyed a nice steak (still in Argentina after all! 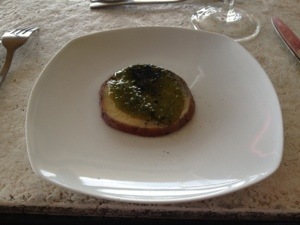 ), followed by an upside-down baked tart of seasonal fruit with lemon cream that was delicious! 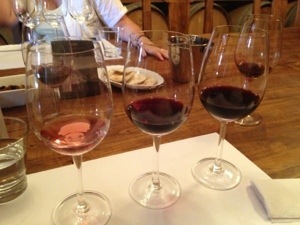 The wines were a Malbec, a Cabernet Sauvignon and a Syrah. Maybe it’s the Aussie in me, or the welcome break from all the Malbec, but although all the wines were good, I favoured the Syrah. After lunch, it would have been nice to string a hammock under the shaded verandah and take a siesta, but duty called, and we were off to our last stop, Alta Vista. 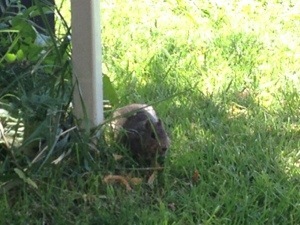 When we arrived, our tour guide was not quite ready for us, and we enjoyed a little time resting in the shade and watching wild guinea pigs run around the yard! 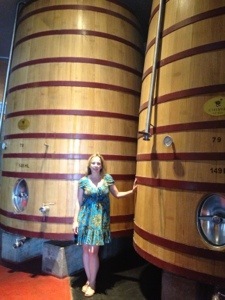 The heat had reached an all time peak for the day and I was glad when our tour led us into the adobe-style winemaking area and the coolness of the barrel rooms. 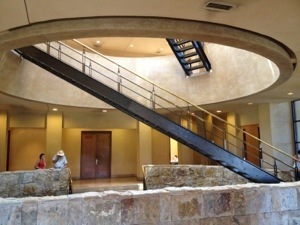 We were then taken back upstairs to the tasting room where we tried four different wines. By this time, I had stopped taking notes, but there was nothing remarkable that jumped out at me and my fellow tasters tended to agree. 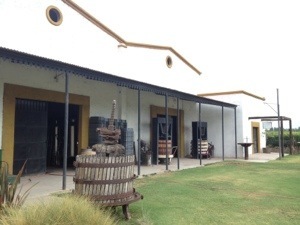 The staff were really friendly and helpful though and, together with our tour guide, put together a short list of some of their favourite Mendoza wines. The bus trip back into Mendoza was fairly quiet, with many taking the opportunity for a little nap. It was a great day out with fun people and our friendly and informative guide. It was nice to have one day where I didn’t have to think too much, just get on and off the bus at the designated times, but I was also looking forward to my adventure to the Uco Valley the next day. I enjoyed a big sleep in after my first night in the big, comfortable hotel bed, waking with just enough time to get to the buffet breakfast. I then had time to send a few emails to set up my reservations for Valley de Uco in two days time, and make a few calls to confirm reservations for that same day. The local No. 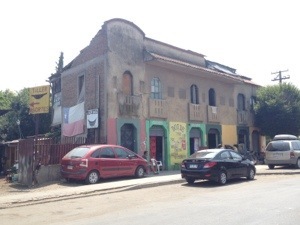 1 bus to Chacras de Coria conveniently left from just around the corner from the hotel, and costs less than two pesos. 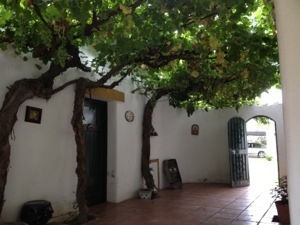 About half an hour later, I got of the bus near the centre of the town and went in search of my first winery, Clos de Chacras. It wasn’t that easy, with very few street signs and a tiny map ripped out of the corner of a magazine page, but I found it about 15 minutes later, arriving right on 1pm. I had booked a tour for 1pm, followed by lunch in the restaurant but, for some mysterious reason, the tour guide had left with the tour 15 minutes early. 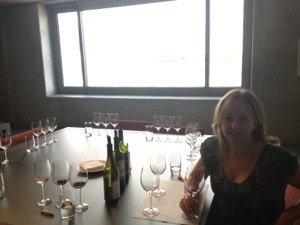 They offered to give me a tour after lunch instead, but I had another reservation in the afternoon and, when they told me that their degustation menu included four glasses of wine, I decided to skip the tour and tasting altogether. Despite the heat, I decided to sit outside for lunch under the shade of an umbrella. The setting was so beautiful, I couldn’t resist. From the deck, I had a nice view of the old winery buildings on one side, and of a pretty small lake and ivy-covered wall on the other. I was presented with a my first glass of wine, a crisp and not too oaky Chardonnay, a handmade bread basket (always excited when you get good bread in Argentina! 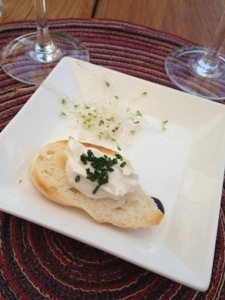 ), and a small crostini with cheese and chives. 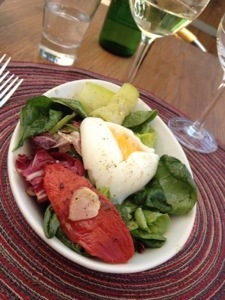 Then, the first of my five courses arrived – a fresh salad featuring marinated zucchini, confit tomato, and finished with a soft poached egg. Delicious. Next up was an entrée of provoleta on a homemade cherry wholegrain bread, with a pine mushroom pate. The combination of the fatty and salty cheese with the slight sweetness of the bread, lessened by the wholegrain, was delicious and not something I ever would have thought of. 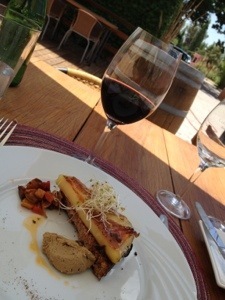 The wine was a 100% Merlot and accompanied the strong flavours beautifully. 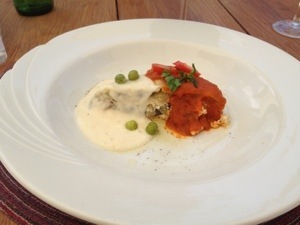 The first main course was a smoked deer lasagna with roast vegetables and bechamel sauce. 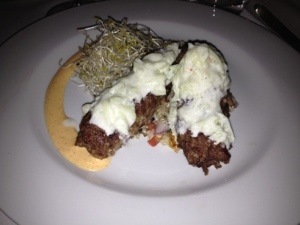 I was looking forward to this dish but the smoked deer was a tiny and almost indistinguishable part of the dish, buried in the ricotta filling, and the bechamel overpowered it a bit much for my liking. The pasta itself was cooked perfectly though, and the roast vegetables were good, and the accompanying 2009 Malbec was nice. The second main, remembering that I’m still in Argentina, was Bife de Chorizo, with a mille feuille of pumpkin, sweet potato and potato. Yum! The piece of beef was a nice size – not too big to be off-putting after the other courses, but not tiny either. 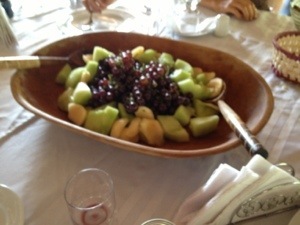 This course was served with the piece de resistance wine – 2008 Gran Estirpe (“great lineage”) Blend of Malbec, Cabernet and Merlot. 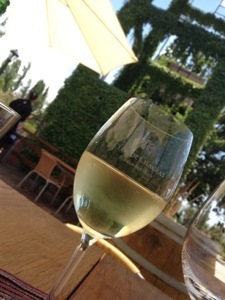 This was a beautiful wine that would have definitely ended up in my winerack if I were not travelling! 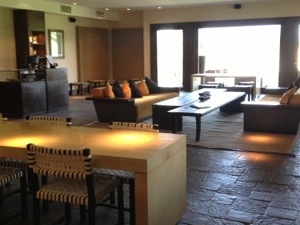 I moved inside for dessert to get some relief from the rising heat, and enjoyed my dessert on one of the comfortable sofas in the front of the dining area. 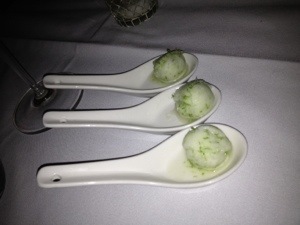 For some reason, my dessert was not exactly what had been described on the menu but came with some of the same elements. It came served in a chocolate basket, which wasn’t to my liking, and contained a small serve of the burnt butter parfait that I’d been expecting and a syrup fig. 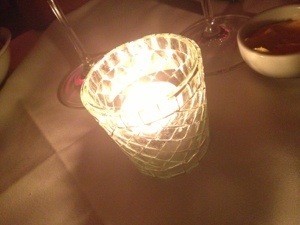 It was nice, but not as nice as the menu offering sounded. 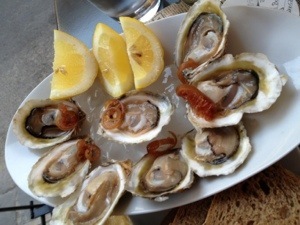 Overall, this was amongst the best meals I have eaten in Argentina, and as you know, I’ve eaten a few! 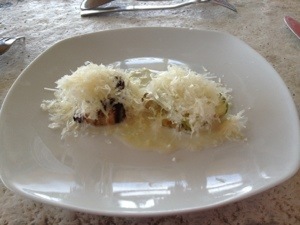 Although there were a couple of elements that weren’t to my liking, I thought the execution of all the dishes was perfect, and the flow of courses was smart and well considered. 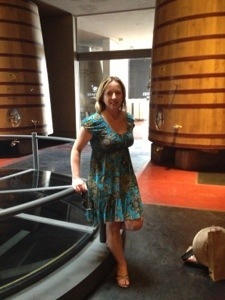 I enjoyed all the wines, some more than others, and the location is pretty. I would love to be sitting on that deck with a group of girlfriends and simply passing time! After all that food and wine, I wasn’t sure I needed my next wine tasting visit, but it was just up the road and they were expecting me. 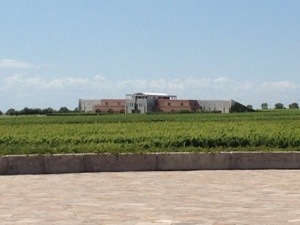 I got to Viamonte Winery by taxi, being too far on the other side of town to walk, especially in the heat and with a full belly! My host, Jorgelina, was waiting for me and I had the place to myself. 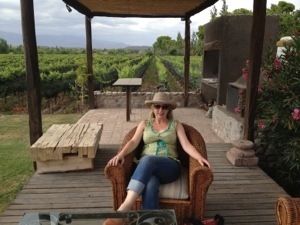 It was another pretty setting, with a view over the vines towards the mountains. 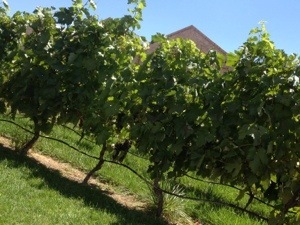 We took a quick look at the vines, and I learnt that Malbec is distinct in that it has three different shaped leaves. Who knew! Well, probably a whole bunch of winemakers, grape growers, and the odd sommelier, but I certainly hadn’t. 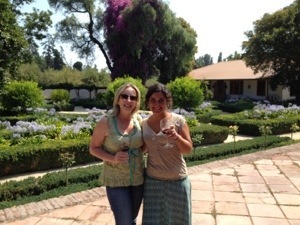 We escaped the heat and retired to the cool tasting room, where Jorgelina poured me three different wines, starting with a 100% Malbec rosé. Now, I don’t usually like rosé but I have had a couple in Argentina that could almost convert me. Made with a strong red grape like Malbec, and retaining quite a dry style, they are flavoursome, easy to drink in the Argentinian heat, and not too sweet. This one was no exception and was enjoyable. Next up was a big, meaty 100% Bonarda, not my favourite grape but I’ve had some nice ones, and this one would probably be amongst them. 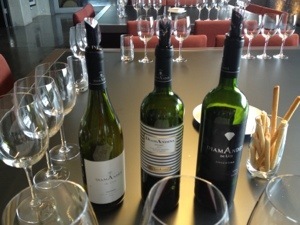 Then the 2011 Malbec Reserva, which was full of deep red fruits, balanced well with its time in french oak. At a very reasonable AR$80 (A$16), it was the wine that convinced me that I could surely manage to transport a couple of bottles in my suitcase to Chile and this would be one of them. 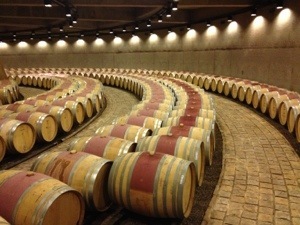 It’s worth noting that, unlike many wine regions around the world, Mendoza does not really have “bad” years. The climate is very stable (i.e. 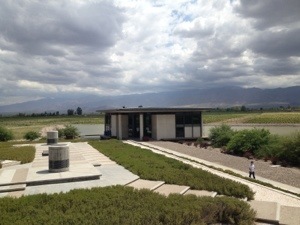 very hot and dry), irrigation is from controlled canals delivering melted snow water from the Andes, and there is very little rain all year round. Though they are susceptible to the occasional hailstorm, the best vines are protected with nets so, really, every year produces a consistency in harvest and every vintage is a “good” one. 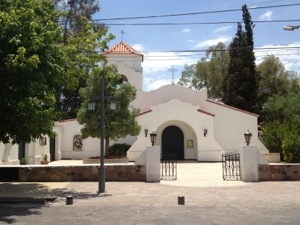 After the tasting, and a long chat with Jorgelina during which she helped me with my plans for a couple of days later, I had time to look around the grounds while I waited for a taxi to deliver me back to the bus stop for my trip back into Mendoza. After such a big day of delicious food and beautiful wine, the big, comfortable hotel bed was looking pretty attractive for a siesta! After Christmas, it made me realise how fast my time was flying in BA, and how little time I had left. My friend Gil was leaving to head back to Canada on 31st December, and I guess his departure only made my own seem more real and imminent. 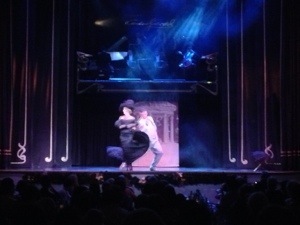 We put our heads to thinking of the things that we really needed to experience before we left and, of course, came up with a tango show! We had both independently been to milongas – community spaces where locals go to dance with each other and occassionally hold shows – but we wanted to experience the full, flashy, professional show. There are several to choose from, ranging in price up to the most expensive – Rojo Tango at the exclusive Faena Hotel at a whopping $400+. We chose Esquina Carlos Gardel, which had been recommended by some local friends. We also chose the show only option, deciding to skip the pre-show set menu dinner. I’m sure the food is “good” but we’d both been in BA long enough to know that there are many “better-than-good” eating options around, and also to know how much the cost of the dinner will get you in a “great” restaurant. We were picked up from Gil’s apartment by a driver, included in the ticket, and taken to the venue, a historic building in Abasto. Upon arrival, we were shown to our seats, along a high counter, elevated behind the dining tables and with a direct, front-on view to stage. Surprisingly, most of the dining tables seemed to be filled with locals, whereas those that arrived for the show only were tourists. We were served wine, also included in the ticket price, and offered the menu for any a la carte snacks we might want to purchase. Before the show started, we were asked to come and have our photo taken with the dancers, where we were instructed into fake poses for the photos which would be offered for sale at some exorbitant price afterwards. Definitely the most touristy “push” of the night and one we laughed about, then tried to put out of our heads in order to enjoy the show. 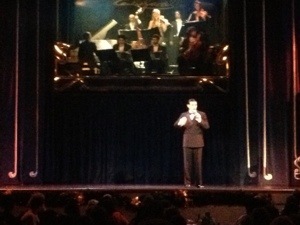 The show started with the orchestra being unveiled in an elegantly framed box above the stage. 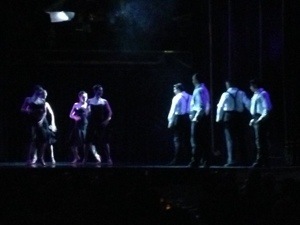 We were then treated to number after number of great performances, each time with different dancers in amazing costumes. 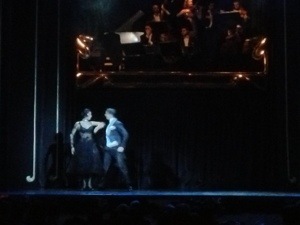 There was an older couple who danced a couple of numbers – a reminder that tango is ageless; and a guy who danced a tango with two brooms tied together – great technique. There were young, dynamic couples who threw each other around, and showed amazing strength and grace. 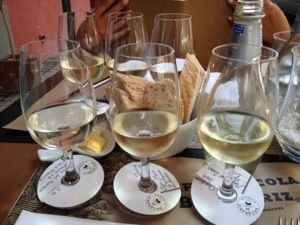 Meanwhile, the wine service was generous and frequent! There was a brief intermission where the orchestra kept us entertained, banging out some tango numbers, then the dances continued. Each time that we thought it couldn’t get any better, they surprised us with an even more dramatic and incredible performance. The show finished with a group performance, followed by the whole troupe appearing on stage for their well deserved applause. 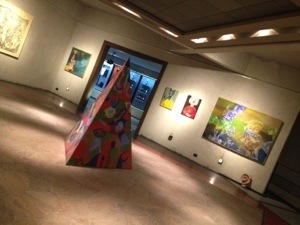 The photos aren´t great, but check out the link for a better idea. After the show, we were delivered to our respective homes by our friendly driver, both agreeing that it had been a thoroughly enjoyable and entertaining evening, certainly worth the cost. With Gil gone a few days later, and the new year in full swing, I sat down to review some of the notes I’d made when I first arrived, and some of things I hadn’t yet done. I decided to contact one of the puerta cerradas to see if they were open so soon after the holidays, and if they could fit me in for that night. Paladar was a puerta cerrada that I had read about when I first arrived in BA, run by an Argentinian husband and wife team. Their website certainly indicated they were open, and the week’s menu looked delicious. A quick phone call, and chef Pablo confirmed that there was space available. I was in luck, so I rounded Cheryl up, then Laura, an Italian friend that Cheryl had met in Brazil, and we had a date. Laura and I shared a cab from Palermo and, just as we climbed into the taxi, the skies opened and the rain started in full force. With no umbrella, we ran to the door, hoping we were in the right place. 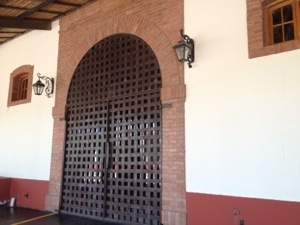 With a puerta cerrada, it just looks like someone’s apartment or house, and there are no signs to indicate a restaurant. Luckily, we were, and Cheryl was waiting for us at the table. 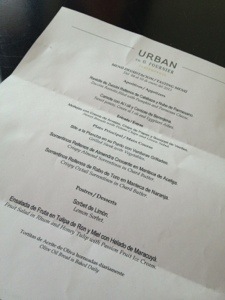 The menu included matched wines, and we were welcomed and served a glass of bubbles by sommelier Ivana. We were in an apartment on the second floor of the building, and a huge window gave us a tree-level view over the rainy street. 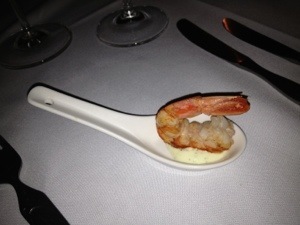 Our courses started with an appetiser of a perfectly cooked “langostino” (or prawn to us) on a creamy aioli, followed by an entrée of a brie and tomato tart. 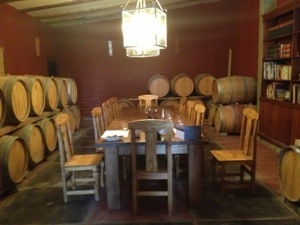 Each were matched with wines that were well-explained by Ivana, tonight favouring the higher altitude region of Salta. 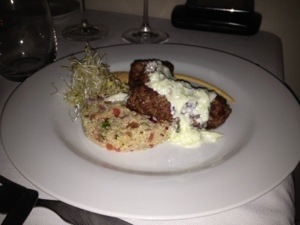 Our main course was lamb served with a quinoa salad and tzatziki. 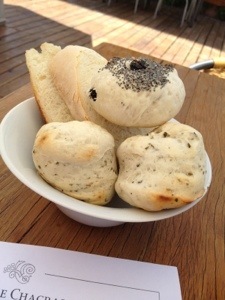 A Greek influenced dish that transported us back to the streets of Melbourne and was a hit with the Aussie girls! 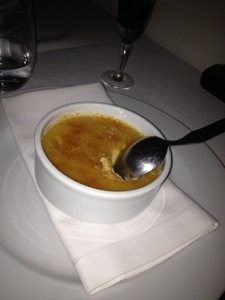 We had a delicious pre-dessert, a light and fresh lime and basil sorbet, followed by the real deal, a heavier and richer dulce de leche creme brulee. We finished the meal with a nice coffee, and Pablo brought the couple’s baby daughter out from the kitchen to see us. He told us that they had recently been able to buy a house, so no longer live in the apartment, using it exclusively now for the restaurant. 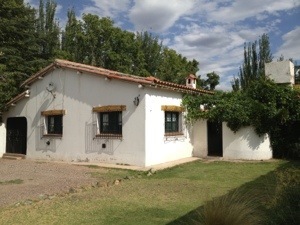 I had the feeling that we’d experienced an authentic puerta cerrada, set in what had been their home, and run by an Argentinian couple who’d put their hearts into it. 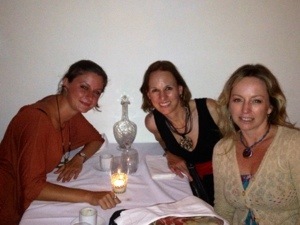 The food and wine were incredible, the girly company great, and it was a nice way to spend one of my last nights in BA.